Can you tell I’ve been craving peanut butter lately (insert shameless plug to Thai “Peanut Butter” Noodles recipe)? Can you really go wrong with peanut butter and chocolate, though? Yes, yes, you can. When it makes your hands swell, turn bright red, and makes you itchy. 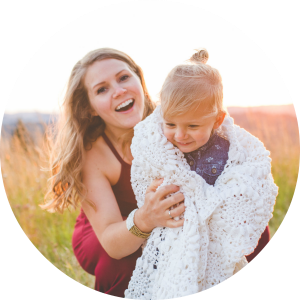 A few years ago, we made the switch to sunflower seed butter, and it has made my life oh-so-much better. You get the same salty and creamy peanut butter qualities without the consequences (if you’re me). I’m usually so good about checking every single ingredient in anything I eat, but the other day at church, I grabbed what I thought was an oats and honey KIND bar. Took a big bite and headed straight for the garbage. 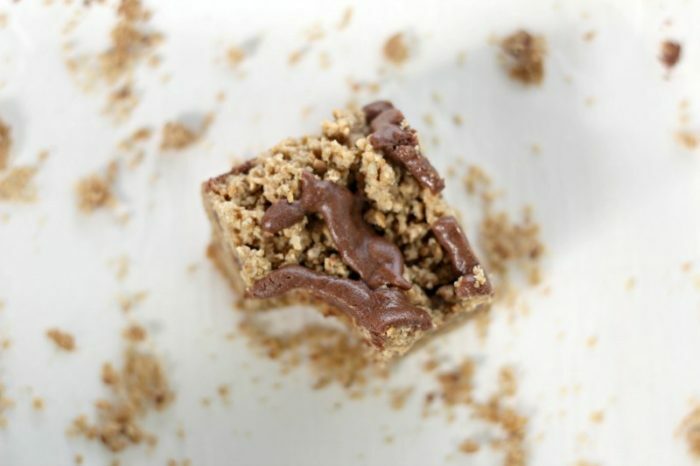 Nope, sure wasn’t oats and honey, but rather, peanut butter and chocolate. I must of looked totally crazy in front of everyone as a spit out the bar and ran to the bathroom to wash my mouth out. I even used paper towel to get the bits in my teeth. How embarrassing, just admitting that. Moral of the story is… read the ingredients list so you don’t look insane. 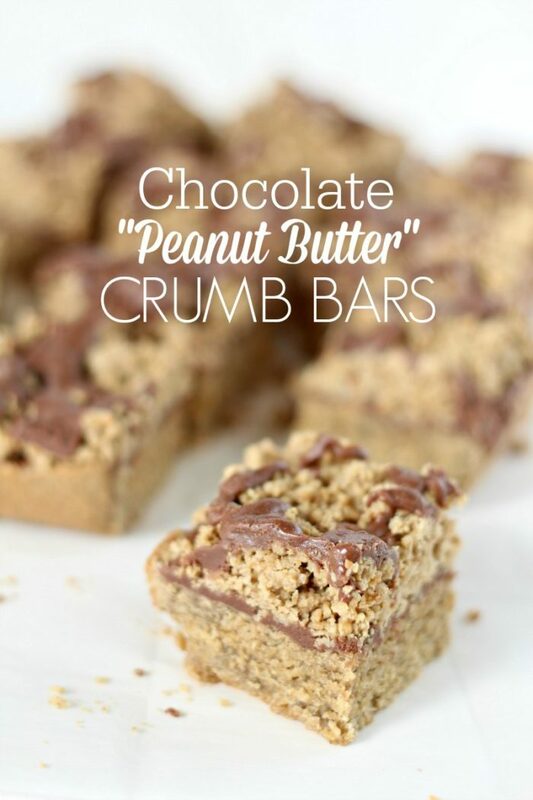 So, back to these delicious chocolate “peanut butter” crumb bars and enough about my insanity. 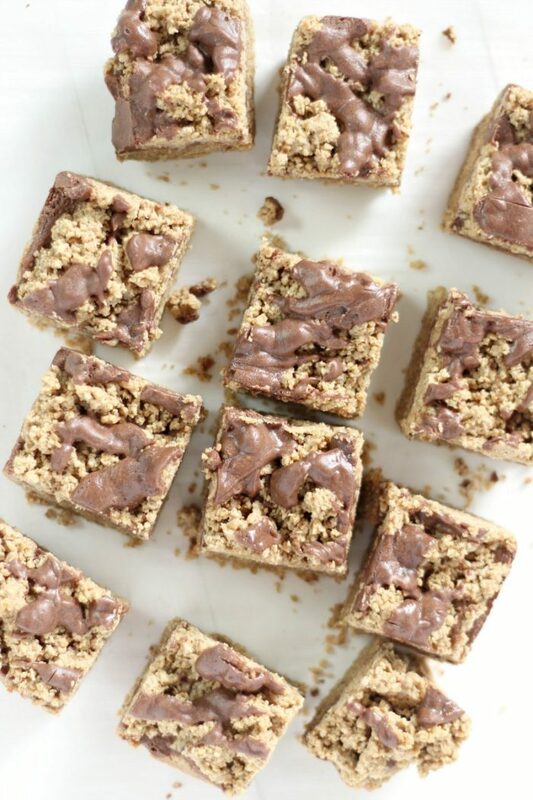 These bars are thick, chewy, and full of chocolate “peanut buttery” goodness. They are perfect for taking to a party or a friend’s house, because if you don’t, you may eat them all. By yourself. In two days. Okay, my hubby definitely helped. And I made them a bunch of times… maybe that’s the reason I gained a few pounds over the last few weeks… haha, kidding, of course. Willpower is not my middle name. Hence, why we just keep junk food out of the house. Hey, if you are totally cool with peanut butter, feel free to substitute it for the sunflower seed butter, or any nut butter of your choosing. Preheat oven to 350. Grease 9x9 or 9x7 baking dish or line with parchment paper. In a food processor, add sunflower seeds and oats and pulse until finely ground. In separate bowl, mix wet ingredients (you may need to microwave or heat in saucepan for a few seconds to soften oil and sunflower seed butter), except egg, and set aside. Take 1 cup of oat/sunflower mixture and 1/4 cup of wet ingredients and mix into a separate container. This is for the crumb topping. Beat the egg into the remaining wet mixture and pour into the food processor with remaining oat/sunflower mixture. Pulse until completely combined. 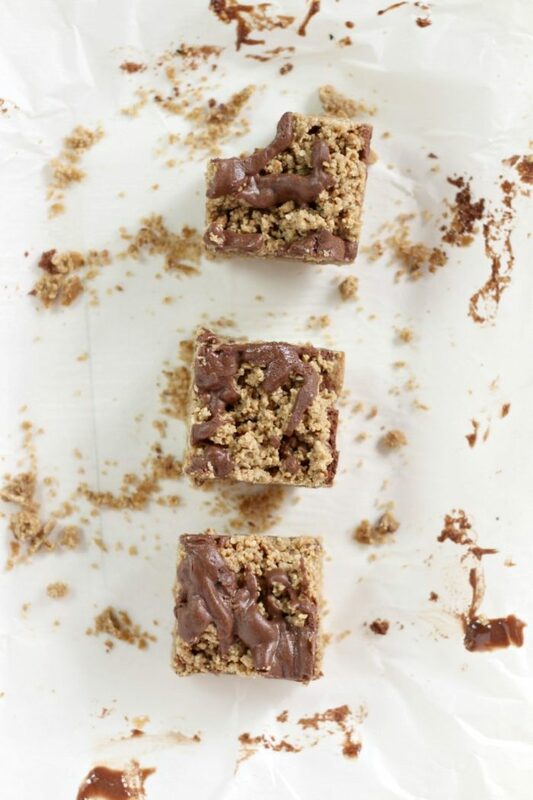 Press the mixture into your parchment paper lined or greased baking dish until evenly distributed. Bake for 15-18 minutes. In a saucepan over low medium heat, add in sunflower seed butter, cocoa powder, maple syrup, and coconut oil and whisk until completely combined. Set aside. 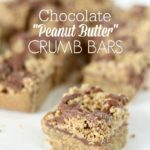 Once the bars are finished baking, spread the chocolate "peanut butter" filling over the bars, and crumble the remaining topping you set aside. Place bars back in the oven and bake for 10-15 minute. Allow to cool, then enjoy.